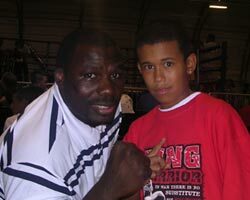 Hasim Rahman & Melik "Hit-Man"
Melik's goal is to get on the U.S.A Olympic Boxing Team and then turn professional. He has won several trophies and numerous medals in the short time he has been in the amateur boxing arena and is ranked #1 in the USA. 2009 - 2015 Colorado State Golden Gloves Champion. 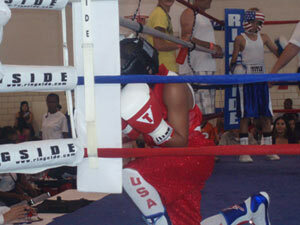 2008 Colorado State Junior Olympic Champion. 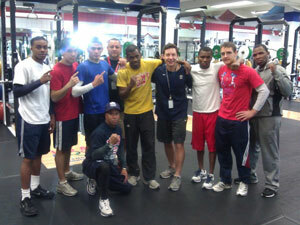 2007 Colorado Golden Gloves Runner up. 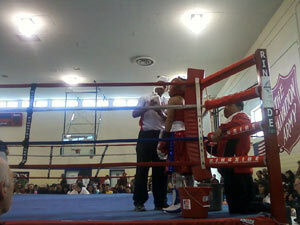 2007 Colorado Junior Golden Gloves Champion. 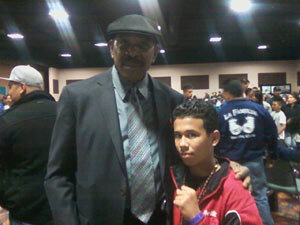 2007 Quarter Finalist Junior Golden Gloves Nationals in Mesquite, Nevada. 2006 Colorado Rocky Mountain Title Junior Nationals 1st. Place. 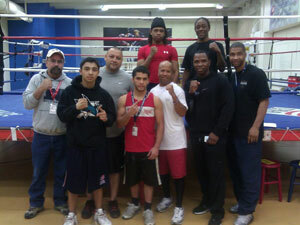 Melik started boxing in 2005. 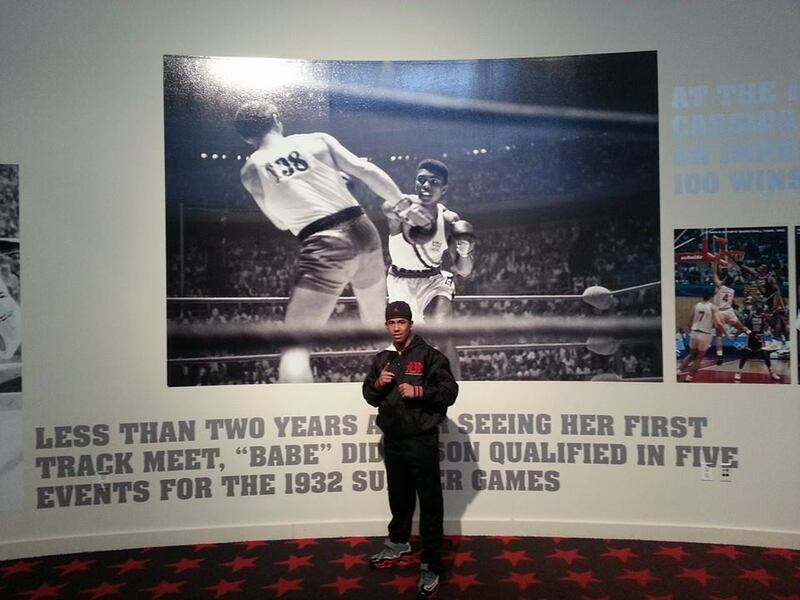 2x Silver Glove National Champion, Title National Champion, 2x Junior Olympic Silver Medalist, Ringside World Champion, 4x State Golden Glove Champion, 2013 Colorado State SR. Golden Gloves Champion and has over 80 fights and can you also add that he trained with Ron Lyle before his coach Everette Elliston (his Father) became his coach. He also had a 3.2 average in school. 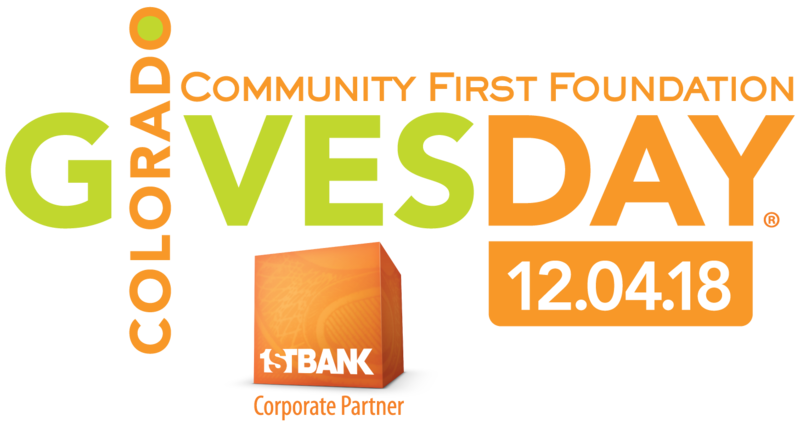 He also volunteers with many children in the community at. He loves and cherishes helping others and enjoys going to church. He also loves animals. He is known for giving quality time not only to his family but to other kids who strive to be what Melik has become and accomplished. He is a good role model to many children and his little brothers and sisters. 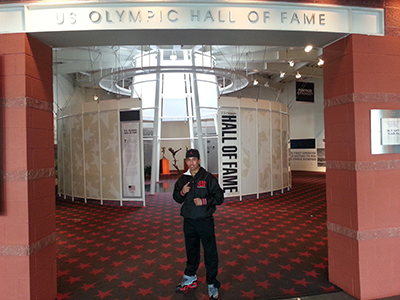 Melik is very dedicated to his education and his boxing career. His father Coach Everette is not only his sons coach but a coach to many other fighters and takes pride in what he does and with this being said, we know where Melik gets it from honestly (his father). Melik’s dream is to go to the 2016 Olympics and win the gold meatal for his country and then become a professional boxer and give back to his community. He is headed in the right direction and stays focused no matter what. He has a lot of support and you always hear nothing but good and positive comments from so many people that have either worked with him or even just met him for the first time. He not only shows support for his team but as well as his friends who have other sport games or other special occasions. From the words of “Hitman”, He is very dedicated and has accomplished his dreams this far and will continue to accomplish his journey until he has made sure he made all his promises come true.